A Portrait of Five” by Joshua Jenkins. Just to give you an idea of scale, the dimensions are 64x59in. Looking at Joshua’s work, his influences seem to span many styles, places, and periods—a love of Picasso, bits of the Harlem Renaissance, and street art. He also acknowledges what the classic painters have passed down to us, though he’s far from a traditionalist. Today, I’m talking about Joshua Jenkins. Joshua is a freelance artist and the coordinator for the LVA‘s Artebella program. 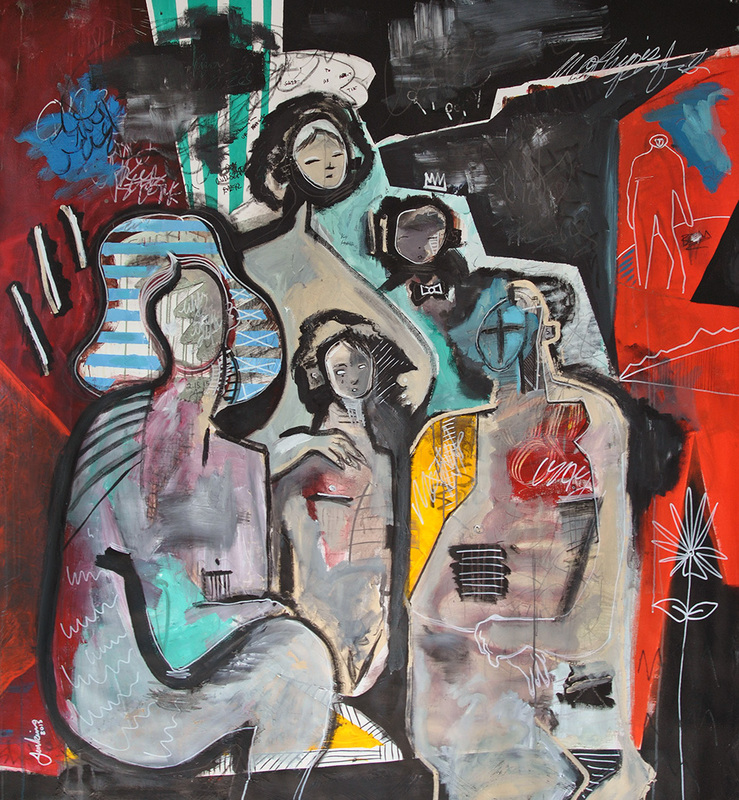 His work tends to be large scale, mixed media abstracts that range from portraits to scenes of daily life. Joshua’s interest in art grew when he discovered Picasso’s prolific body of work. For him, this was a realization of what art could be was much more than the classic Renaissance painters. Joshua uses a very layered technique blending text, color fields, and abstract figures, all with a very bold and expressive brushstroke. 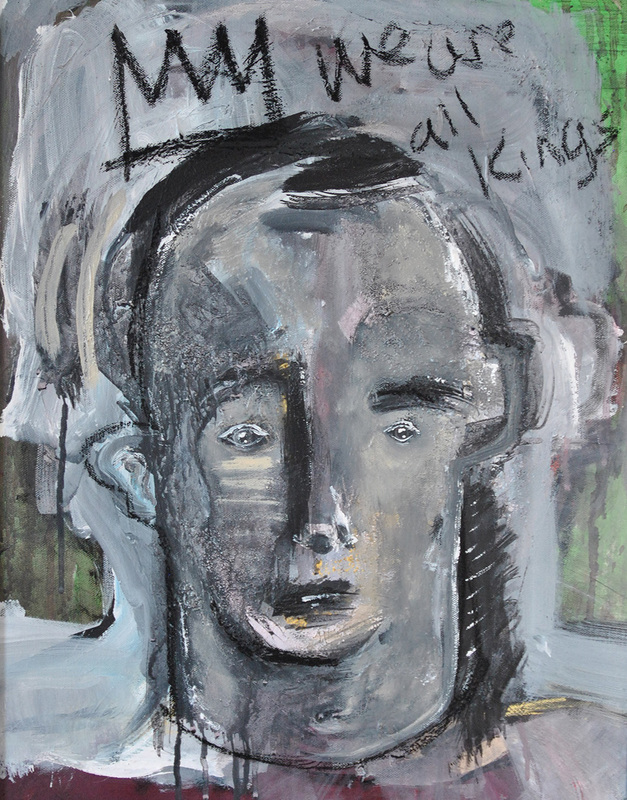 ‘Portrait of a King 2’ by Joshua Jenkins. You can get a better understanding of his work at www.joshjenkins.com or www.facebook.com/joshuajenkinsart. Listen to our chat using the player below. My interview with Bobby B. of Blind Date is up! Take a listen and check it out.